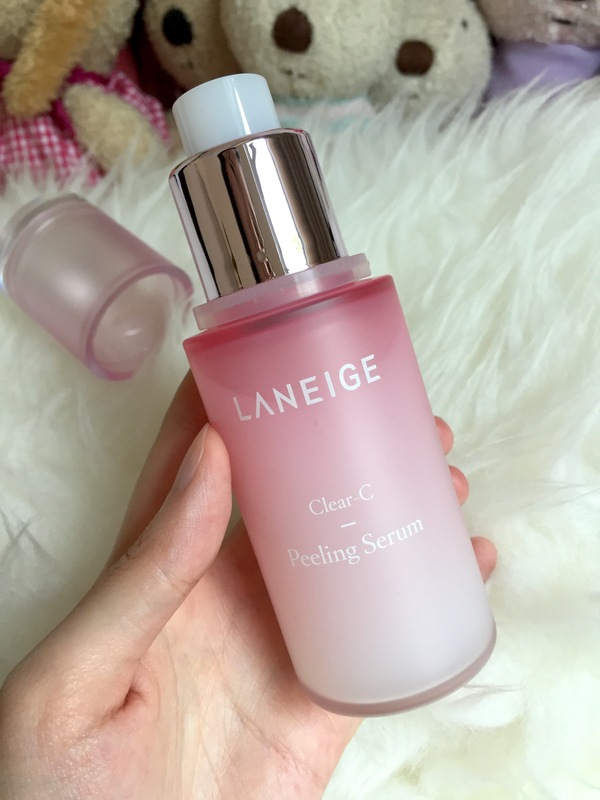 As always, I am thrilled to share about LANEIGE CLEAR C – a new brightening skincare range! 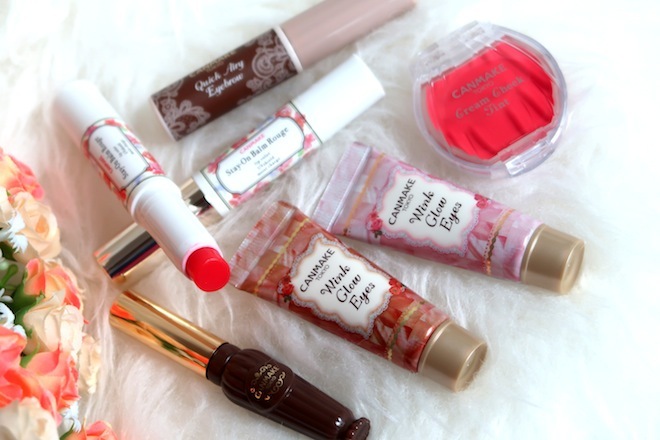 🙂 There are 4 products in this series, so let’s take a look at them! It is a vitamin booster with 92.5% super berry extracts that have clarifying effects, which promotes brighter complexion. It basically prevents skin from oxidizing. It has a water-type formula and comes with a pump! 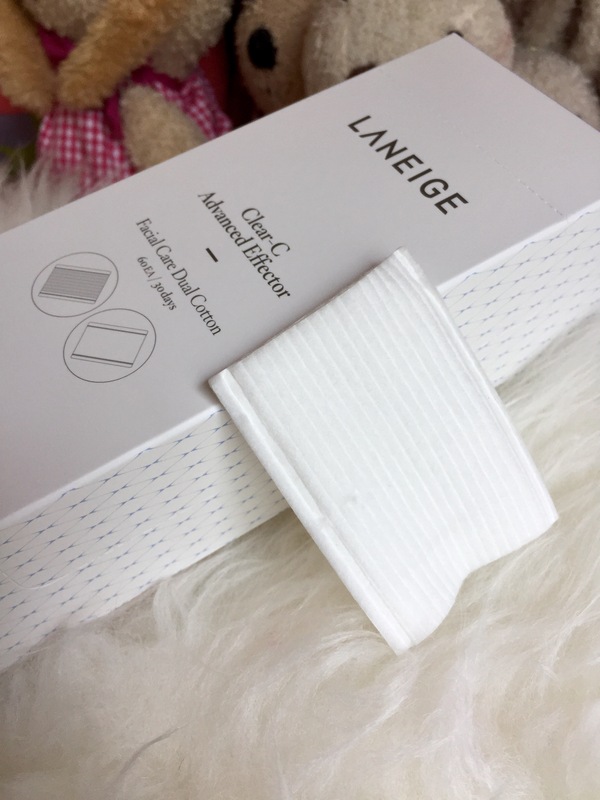 Recommended to use with dual-textured cotton pads! Read more here. 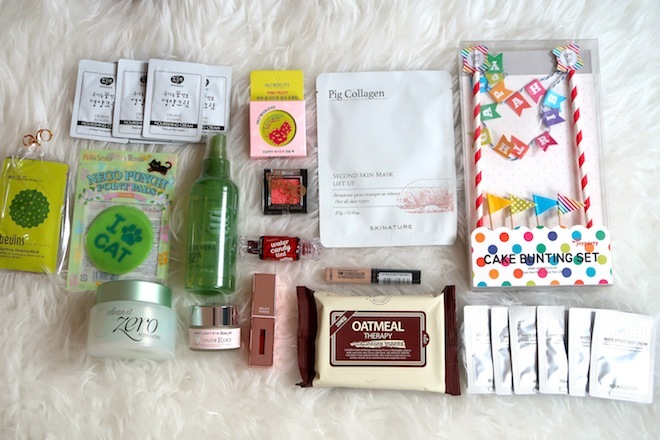 Retails for SGD56 (150ml), includes 60 cotton pads. 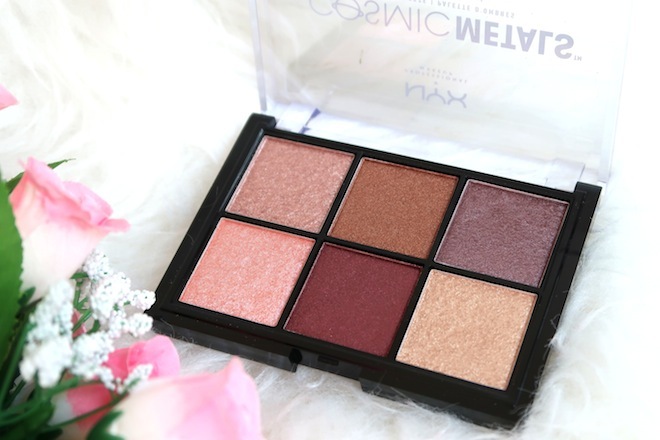 First Impression: It feels very light-weight and absorbs quickly into my skin. It smells pretty nice too. I appreciate that it comes with a pump. I will continue using and update again. 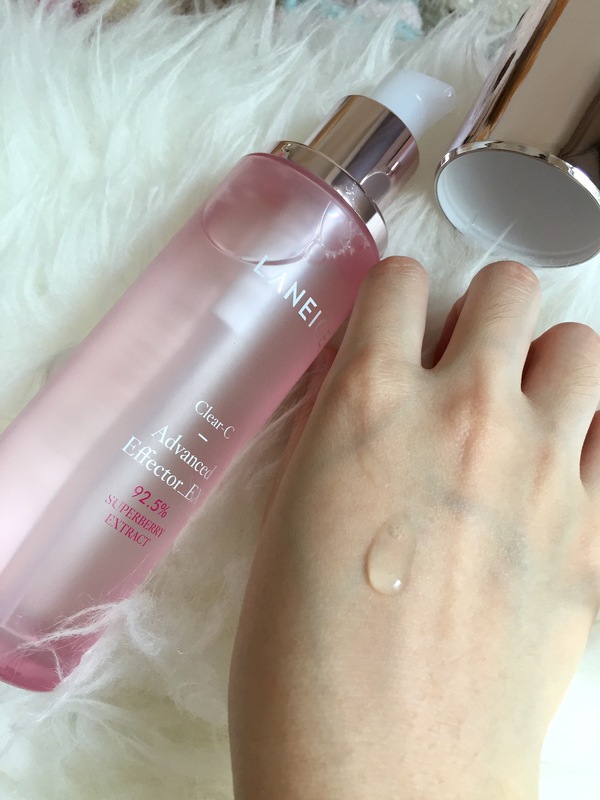 This is a daily texture care serum that removes dead skin cells. It contains natural alpha hydroxy acids (AHAs) fruit acid derived from sugar maple, sugarcane, orange, lemon and bilberry to remove the thick clumps of aged dead skin cells and condition healthy keratin. It speeds up the process of shedding dead skin cells to give a smooth and moisturized skin. Read more here. The consistency is slightly thicker than Advanced Effector but still water-based formula. It also comes with a pump. Retails for SGD40 (80ml). First Impression: Similarly to the Advanced Effector, it absorbs into my skin very quickly. It feels very light-weight and does not feel sticky at all. Even though there are now more steps for my skincare routine, it still didn’t take up too much of my time, as these 2 products were absorbed into my skin very quickly. I’ll update my thoughts again. 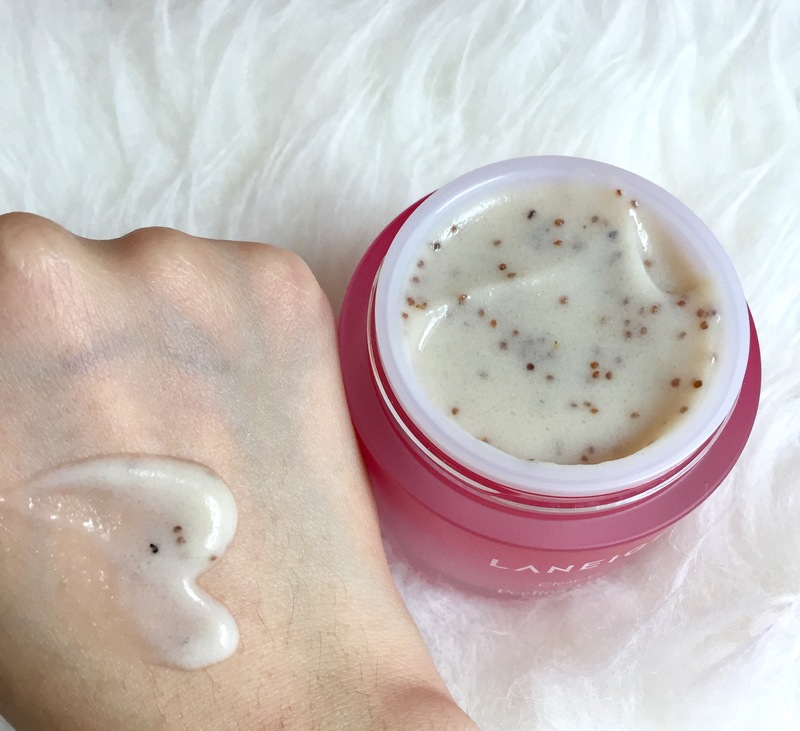 According to Laneige, this is a wash-off mask that gently removes dead skin cells for a smoother and moisturized skin. It contains soft, natural strawberry seeds and very soft konjac for a gentle exfoliation experience. In case if you are wondering, this is the new version of the Yogurt Repair Mask. Previously for the Yogurt Repair Mask, you apply it on for 20 mins and wash off. But for this Clear C Peeling Mask, it is essentially a scrub. So, I recommend you to use the Clear C Peeling Mask first then finish up with the Yogurt Repair Mask or Advanced Effector_EX Masks. Read more here. First Impression: It is very gentle on my skin. My skin feels super clean. I will most likely use this 2-3 times a week after a long day. I’ll also use Advanced Effector_EX Mask afterwards because it does stripe off everything on my skin, so I gotta replenish the moisture back! Hmmm, so how can I incorporate this in my current skincare routine? Dull skin and lack vitamin C? 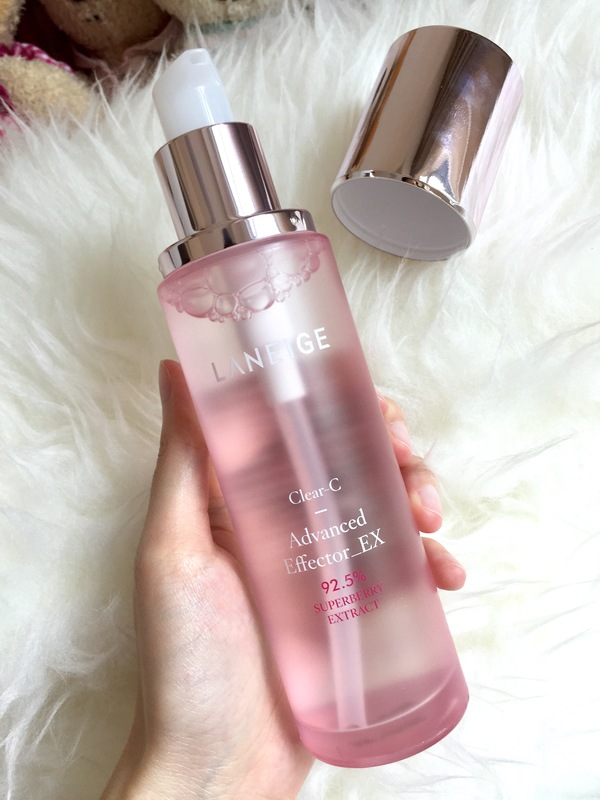 Take charge of your precious skin with @laneigesg COLLAGEN DRINK! Drink up after each workout session or even pop open a bottle after a long flight! Cart out this EXCLUSIVE promo set @lazada_sg and get a FREE Travel Pouch and Tote Bag!